A Python library that lets you write less code to do more things. It's the website you're viewing this content in right now. 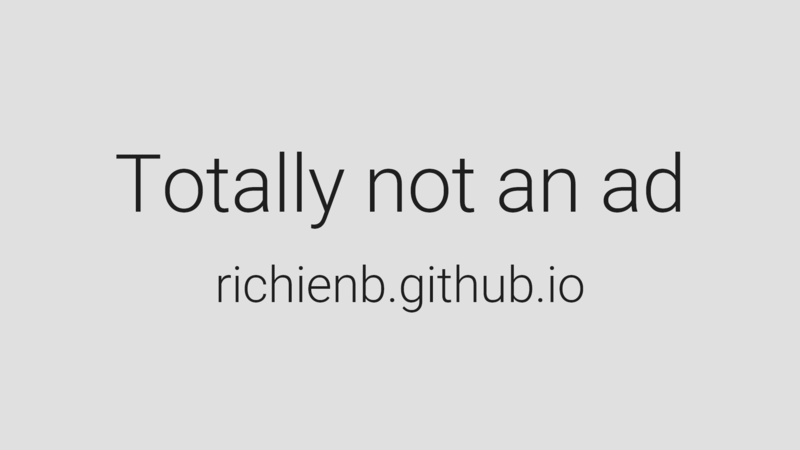 It's also open source on GitHub. A CSS file that adds shortcuts to css rules. An extension to the math library provided by Python. The most straightforward way to waste all of your data. 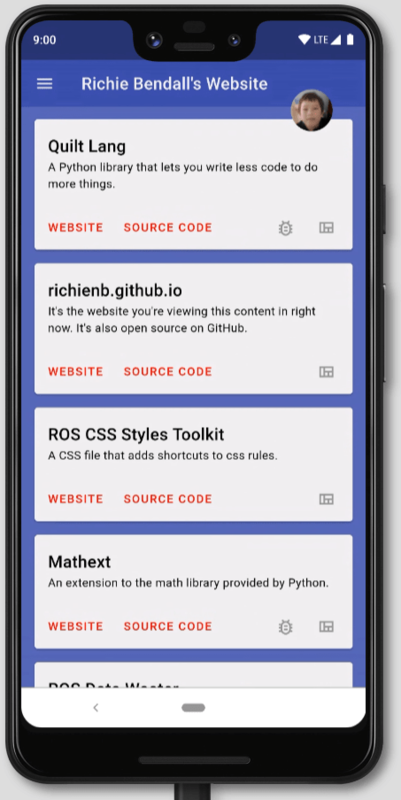 An advanced calculator for the web featuring material design and allows you to perform simple and scientific equations. A simple gitattributes generator that leverages alexkaratarakis/gitattributes. A chat spammer that runs on Windows. Detect dark mode in any browser. Inject scripts into any website. ROS Cursor Scheme Previewer is a Material Design website which allows you to preview the cursors in your cursor scheme. Easily create, edit and remove a customized settings file which you are able to use for storing all of the settings for your application. Allows you to embed a url in your videos which will automatically play music from this YouTube video. This also changes the background colour of the website to be the green screen colour. An online code and plain text editor taking advantage of Google's Material Design for the Web library and Ace. A utility that can generate a regex code to match any range of numbers. This is an easy way to prove that you own a site by adding a TXT record to your website's DNS records. A revolutionary, modern and pleasing programming language featuring a streamlined and speedy installation, a very straightforward and simplistic syntax and is provided as a Python 3 library. Lets you check what web features are available in your browser. This is a website which makes api requests to mit-license.org in order to create your very own dynamic license or get the url for your already existing license. A VB.NET application which watches over the filesystem on your computer and logs all changes to your files. This includes creation, deletion, moving and renames. An easy way to preview all the different HTML form elements with copyable snippets of code. ROS Chat is a sophisticated chatbot that will assist you in everyday tasks and more. It mostly specializes in chatting, but more features are available including rolling a dice, picking an item and playing paper scissors rock. This is a text encryption tool. A tool that provides links to download YouTube videos in different qualities. This is a tool which allows you to convert text into it's URI encoded counterpart and back. A comprehensive index of all the components offered by MDL. The easiest way to start using Material Design Components for the web in a single HTML file. A simple text editor for the web featuring Material Design and multiple customization options. An easy way to start using Material Design Components for the Web. This codebase is adapted from Google's Getting Started guide on the official Material Design website. A .gitignore and .gitattributes file containing ignore and attribute code for all programming languages, automatically updated daily. Every single MD5 hash uploaded on VirusShare in a single file, ready for distribution and CI integrations. An online tool to quickly convert between Celsius and Fahrenheit temperatures. A fast way to scan a file against VirusShare's MD5 hash list. Jython 2 and 3 pre-built, ready for easy distribution and continuous integration. This is a tool to easily calculate your spelling age using the score of a Schonell spelling test. This is also an experiment for the new Material Design for the Web design library. An example website with simple boilerplate code for starting out with building for the web. An example website for demos and finding out how Google's Recaptcha services for the web work. The site features Recaptcha 2.0 and Invisible Recaptcha. 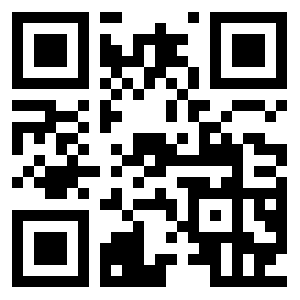 Scan this QR with your Bitcoin wallet application. Please feel free to donate any amount you want.